Seven seniors will be leaving the tennis team after this year. 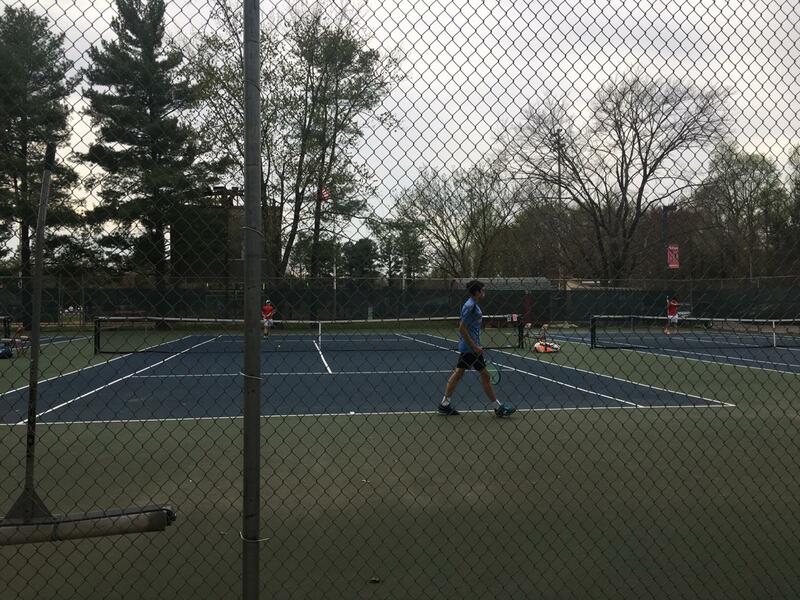 Senior night was their last home match. On April 12, McLean’s tennis team hosted Yorktown in the last home match for the team’s seven seniors. 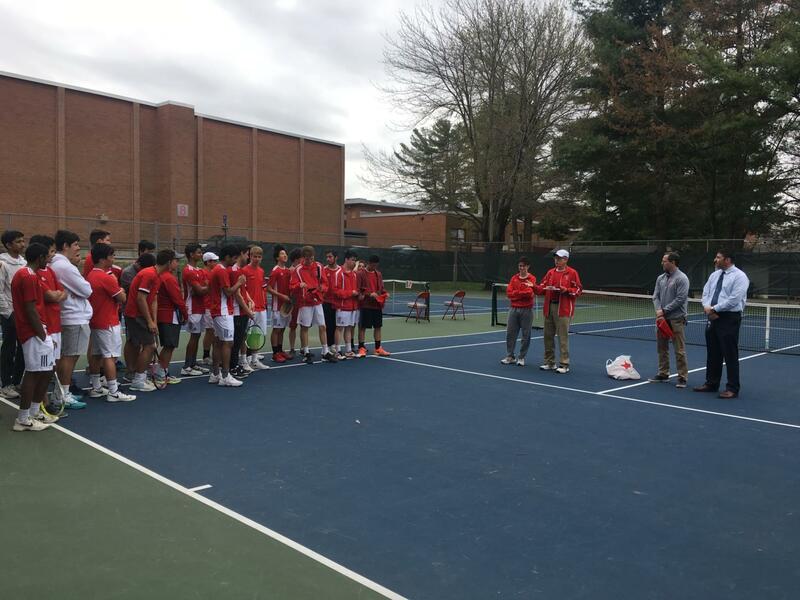 Before the match began, the tennis team and parents walked onto the tennis court, and the team’s coach introduced and commemorated each senior. 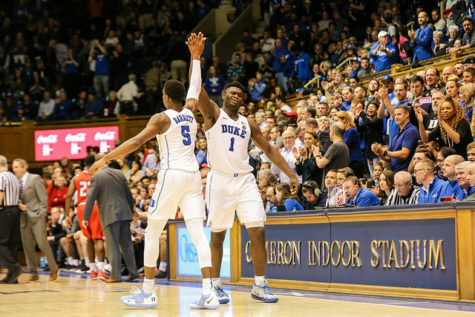 In commemorating them, he introduced them, said how long each one had been playing on JV and varsity, talked about what they contributed to the team, said what college they would be attending and what they planned to major in, and said what each one’s greatest memory from the team had been. 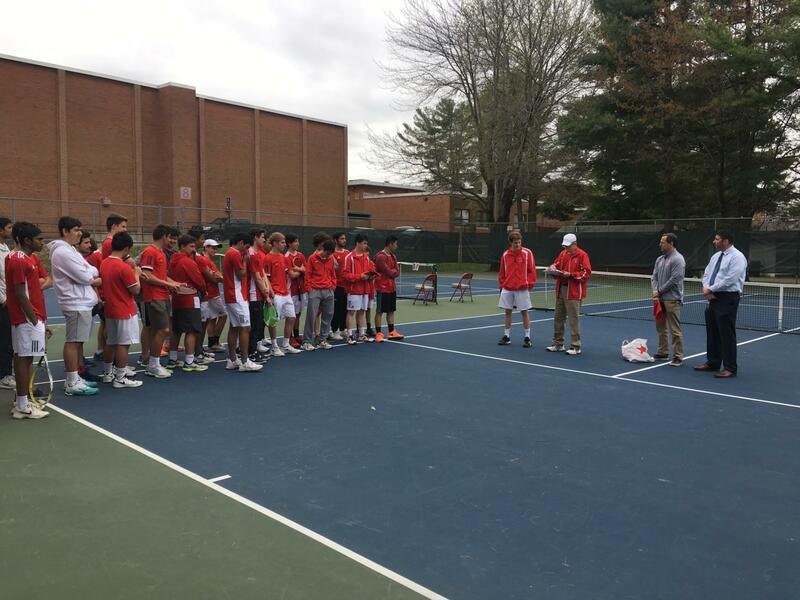 After the coach commemorated each senior, the parents left the tennis court and senior Bryce Liquerman gave a brief pregame speech. Then, the players who would be participating in the first games of the match began to warm-up and the others went to the bleachers and began cheering on their teammates. Senior George Cao also felt very positively about both his experiences on senior night and on the team as a whole. “I had fun, and though we didn’t win, it was a super close match and it was very intense. 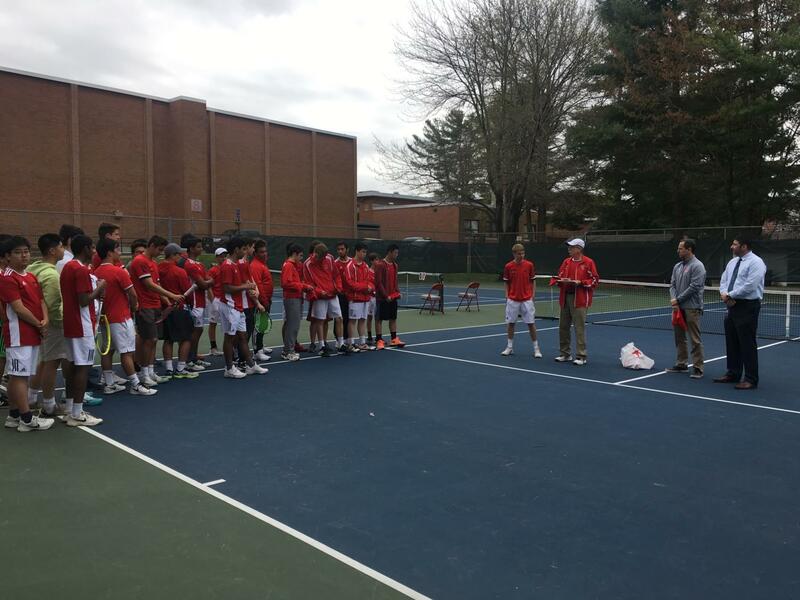 There was a generous amount of food, Bryce had a passionate speech, and all the seniors got to play a match which was nice,” Cao said. 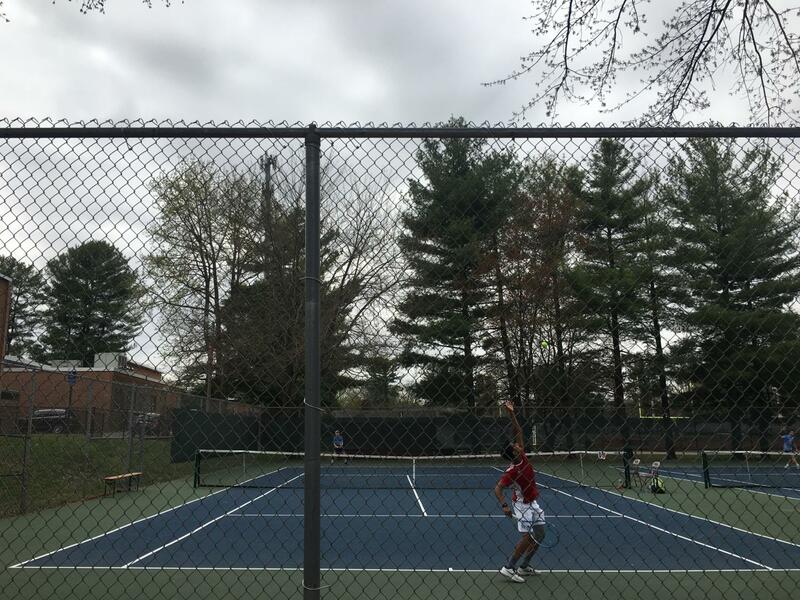 McLean ultimately lost the match 5-4 against the current district leader.